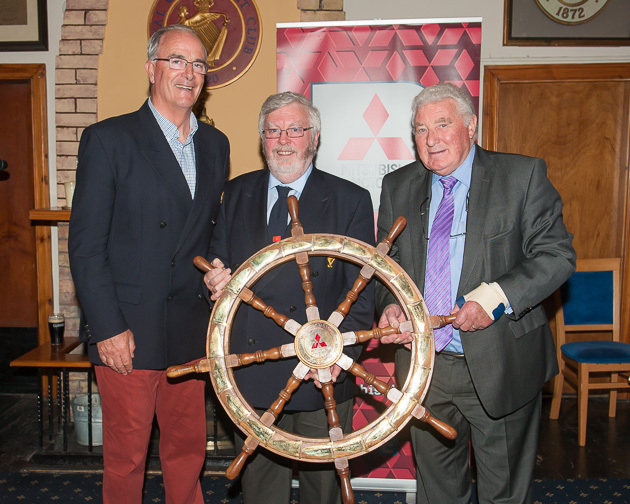 Pictured at the official handover of the Mitsubishi Trophy for Club of the Year Award 2014. L. to R. Admiral Pat Lyons, Frank Keane, Chairman, Mitsubishi Motors Ireland and Billy Riordan, CEO Mitsubishi Motors Ireland. Picture Robert Bateman. Last night’s drive to Crosshaven for the 2014 Mitsubishi Club of the Year Award was travelling on a “pet” evening. Passing Drakes Pool was like a still life painting with the clarity of the evening. Sun blazing, moored yachts at various angles showing off their coloured hulls as they sat on the top of the tide. A perfect blend of old and modern with a wind turbine rotating in the gentle breeze and cows grazing peacefully. On to the Club House and looking through the window was another wonderful vista with the sun still blazing and the palms waving, the scene could have been set in any tropical climate around the world. Yachts were returning from the Thursday night league and the air was filled with the sailors banter. On the lawn several Mitsubishi vehicles, supplied by local dealer Dan Seaman Motors, looked resplendent as the sun started to go down in a blaze of colour. 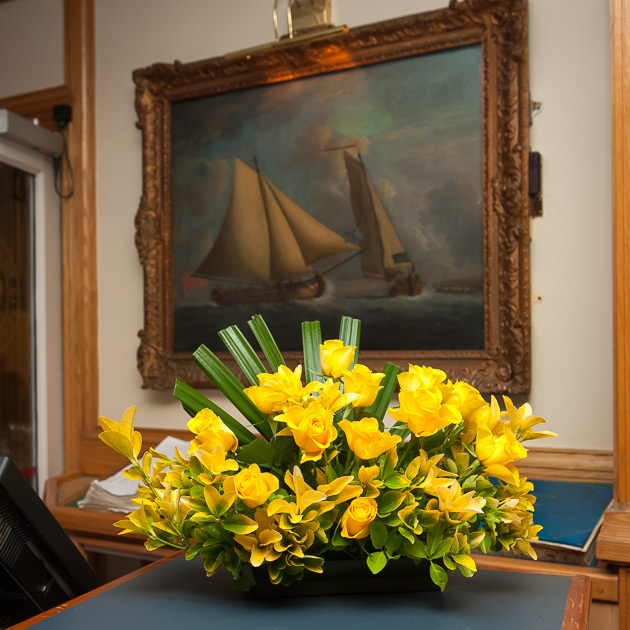 Then on to the formal and eagerly awaited part of the evening. This commenced with the silver tongued W.M. Nixon acting as MC for the evening. 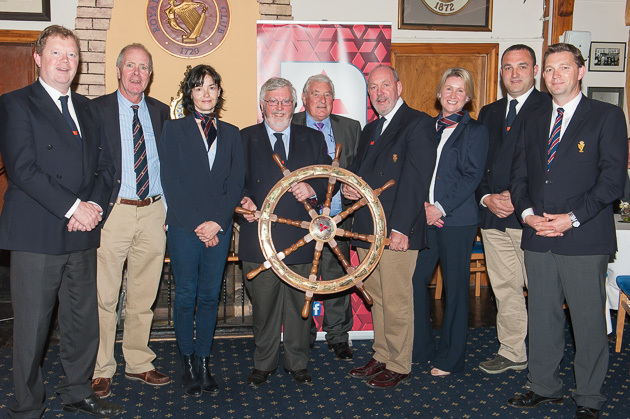 Royal Cork Admiral Pat Lyons welcomed the guests and introduced Billy Riordan CEO Mitsubishi Motors Ireland, who spoke at length of the process for selecting the winner and listed out the all of the six dates on which the Royal Cork Yacht Club had previously achieved this award. 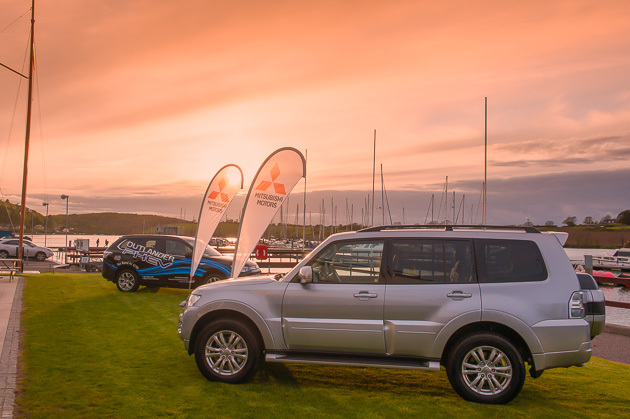 He knew more about what we had achieved in the club than your scribe and was very clear about the passion with which Mitsubishi Motors Ireland regard the sport of sailing. The trophy was then presented to RCYC Admiral Pat Lyons. 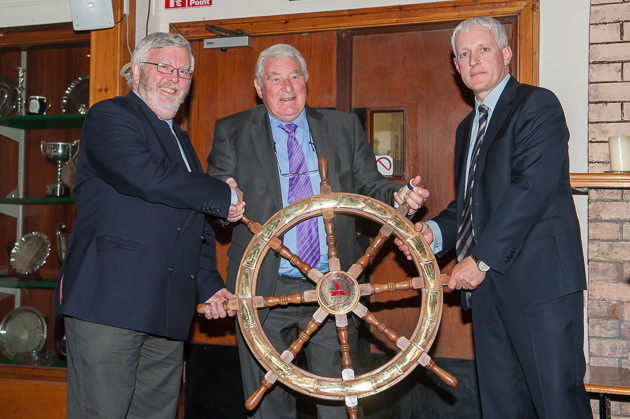 Special mention was made of Anthony O’Leary for all his outstanding sailing achievements in the Admiral’s acceptance speech. At the conclusion of the evening a moment of silence was observed to remember the 100th anniversary of the Luisitania tragedy.